The Glass Electrode is a part of the High Frequency Device. It is used to transmit the static electricity from a handpiece.  The electrode is a glass tube filled with Neon or Argon gas. 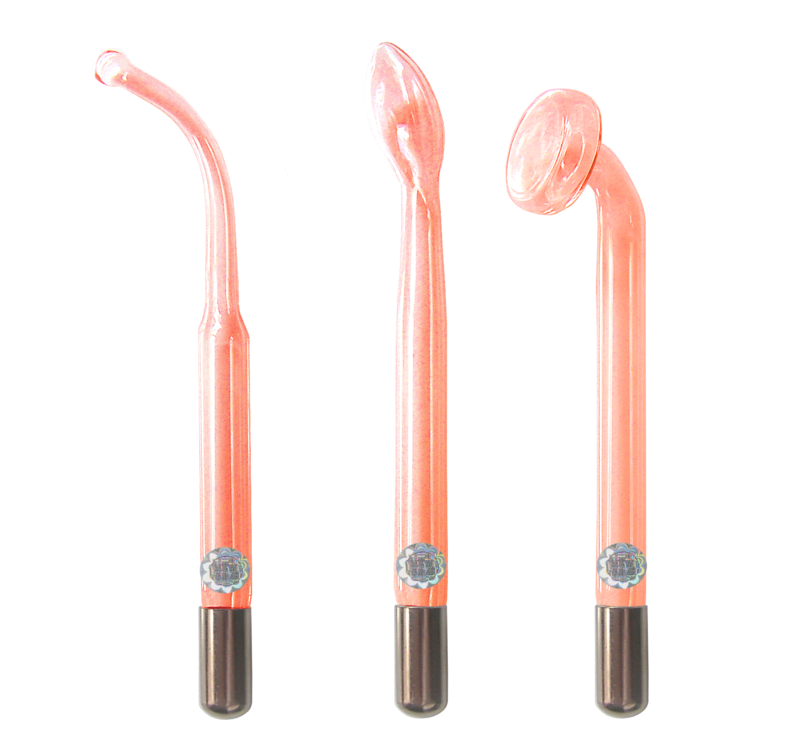 The gas used determines the color of the electrode. Neon glows bright orange, when Argon glows faint violet, sometimes not even visible in a daylight. The color of the electrode does not affect the output of the high frequency – the static charge.  The comb electrode is a low glowing electrode and does not produce a strong spark. 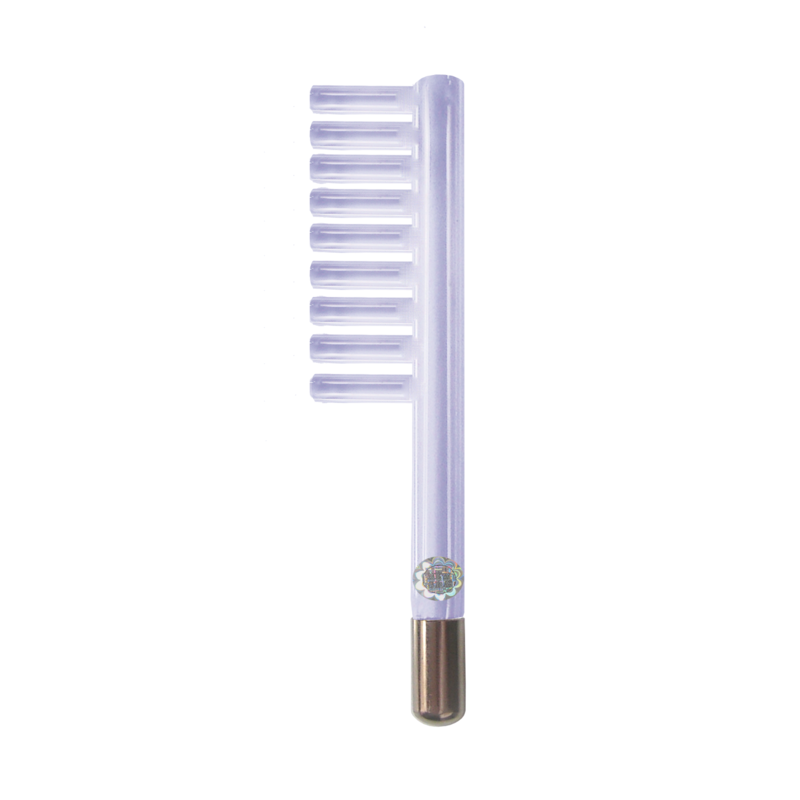 It is used to comb the hair to deliver the high frequency charge to the scalp. Before use, make sure your hair is combed well and not tangled. It is not a real comb and not a substitution for combing hair. Do not insert or remove the electrode when the device is turned on. Remove and insert the electrodes with care as glass products are fragile and there is a laceration hazard present. Excessive force must not be used or force in a direction which will make the glass snap. Thought should be given as to where the sharp edge of the glass might go if it does break and the grip arranged accordingly. The glass may be wrapped in a towel or thick layers of paper tissue to reduce the hazard in case the glass got damaged. Inspect the electrode before and after use for cracks or scratches. Exercise reasonable caution associated with the use of glass products. Glass “sharps” must be disposed of in the proper containers and not in the ordinary waste-bins. Our goal to create an online beauty tool shop where you can get most effective skin care devices for personal grooming and anti-age routine. You will enjoy radiant, youthful and fresh look without heading to expensive beauty salons!